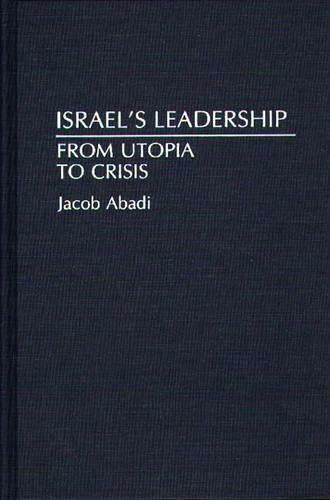 This book analyzes Israel's leadership from the rise of the Zionist movement to the present. That leadership, Abadi holds, has been declining since David Ben Gurion, the founder and first prime minister of the state, retired from politics. Not only were the early leaders of Zionism more charismatic, the author argues, but later leaders have faced domestic and external constraints that tied their hands regarding the economy, the need to absorb immigrants, and the demand to expand and modernize the army. Contemporary leaders have proven to be unequal to the task of dealing with these problems. In addition, the book mentions the erosion of the Zionist dream and the inability of native-born Israelis to provide a new ideology. Abadi concludes with possible solutions and prospects for the future.